From the stage at the Madrid International Training Event, ACN President and Co-Founder, Greg Provenzano, proclaimed: “The next few years of ACN will far exceed anything that we’ve already accomplished”. This set the tone for three memorable days of impactful training, inspiring recognition and the incredible guest speakers at the Madrid International Training Event. ACN welcomed two special guest speakers, both of whom had a unique insight on how to make the most of the ACN Opportunity. The first guest speaker was Peter Lamas on Saturday morning, he shared his incredible story as well as talked about his product philosophy for the Aluminé range. He was followed by ACN’s Vice President of Leadership Development, Mr. Larry Raskin, who captivated the audience with a powerful and impactful message. Alongside these guest speakers, many top Senior Vice Presidents and Regional Vice Presidents delivered key trainings. Strive for 5 is Now Available for Customers! Following the launch of Strive for 5 for IBOs earlier this year, now it is available for JOi customers in Denmark, France and the United Kingdom! This service is now available with or without the ACN Digital Phone Service Adaptor in 17 European countries. 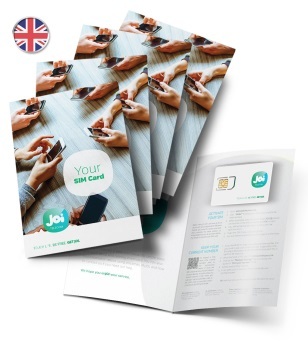 During the event, IBOs were able to purchase JOi SIM card packs for the United Kingdom for the first time. Available in a pack of 5 for €15,00 (incl. VAT), these SIM cards enable IBOs to receive credit for each activated SIM, as well as having the order appear faster on the Personal Customer List (PCL), plus it provides added convenience for the customer. You can order your pack of SIM cards now from www.acnibo.tools and benefit from free shipping (SIM cards only). In December this will also be available in France. In November the JOi international rates will be made even more competitive in Denmark! 2 new UK data tablet plans will be available starting the 1st of December. 2 GB & 5 GB plans available at 1 point each. Stay tuned for more details via ACN in Action. Applicable to all JOi L & JOi XL customers since the launch in July, now ported numbers will show as 3 points on the PCL (up from 2). IBOs will get compensated when they bundle Broadband & Mobile, per account: 1 mobile = € 5 CV, 2 mobiles = € 10 CV and 3 mobiles = € 15 CV with 1 point. Check out the updated Bonus Promotion document for an improved retail bonus in October! controller including professional installation worth up to £250! Full details available on the First Utility offer page via the Online Shop. Starting October 18, we will introduce an ACN exclusive product offer worth more than £150. Check your ACN in Actions for details. Additionally, ACN Co-Founder, Mike Cupisz, cast the vision for the numerous enhancements to come in 2018 for mobile, energy, multiplay and other services across Europe. There were numerous onsite products packs available at the Opportunity Shop in Madrid, including 3 Aluminé skincare gift sets which will be available to purchase on the www.benevita.eu website on the 1st of November. There will also be a gift with purchase promotion for Aluminé haircare products coming soon, be sure to look out for ACN in Actions for all the details. Congratulations to our four new Regional Vice Presidents, who received their promotions on stage in Madrid: Fahad Rahim, Humraz Khan, Sonia Najeeb and Hamzah Almasyabi. We also had a Senior Vice President promotion, as Circle of Champions member Abubakar Qasim took his business to even greater heights! There were also many people promoted to the position of Regional Director. ACN and the Co-Founders believe in always giving back to the communities they visit. On Friday, Mike Cupisz welcomed José Antonio García García, Executive Director for Ronald McDonald House Charities in Madrid, to the stage to present to the audience. During the event, people contributed to the charity and the total amount of donations was matched euro for euro by the Co-Founders. On Sunday afternoon, the Co-Founders presented a cheque for the amount of €11,713.86 to Rafael Gil-Alfaro and José Antonio García García of RMHC. ACN Family. See you in Rotterdam! The terms “network marketing” and direct selling are frequently used and often misinterpreted by many people. The most common misconception is the comparison of network marketing to illegal sales methods such as “pyramid selling”. Network marketing (also referred to as multi-level marketing) is a sales model where products and services are marketed to end consumers through a network of independent direct sellers. These independent direct sellers receive compensation from their own sales of products or services to customers, and from the sales to customers generated by their network of other independent direct sellers, but always based on the sale of products and/or services to consumers rather than simply expanding the network of independent direct sellers. A pyramid selling scheme is any business where the primary form of compensation is derived from the fees that others pay to join the business, rather than from the sale of products or services to end consumers. These schemes are illegal and alongside “pyramid selling” these schemes have also been described as ‘chain letters’, ‘snow ball schemes’, ‘chain selling’, ‘money games’ and ‘investment lotteries’. It is important to remember that legitimate network marketing rewards independent direct sellers for the distribution and sale of products and/or services to customers. No money is earned merely by sponsoring additional independent direct sellers into the distributorship. Thus, network marketing offers independent direct sellers the opportunity to build independent businesses marketing, promoting and selling products and/or services to customers and to train an organisation, or network, of other independent direct sellers to do the same. Without intending to be exhaustive about these matters, below are some key questions for you to consider to differentiate a legitimate network marketing company from a pyramid selling scheme. What is the company’s primary source of income? If the revenue of the company is derived primarily from the contributions made by the independent direct sellers, and there is no genuine economic activity, the company is typically considered to be a pyramid selling scheme. If, on the contrary, the company’s income derives primarily from the sales of products or services, then the company is likely to be regarded as a legitimate network marketing business. 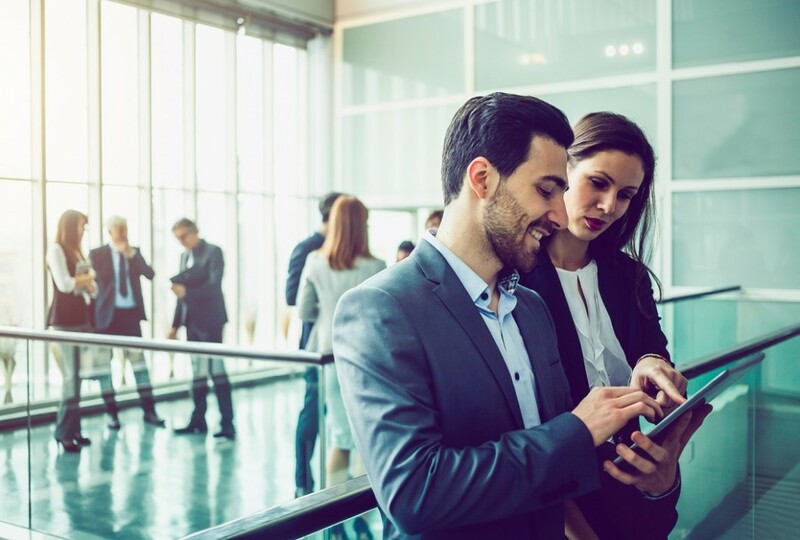 ACN’s business is to provide fixed and mobile telecommunications and Internet services to customers and it is the sale of these services that constitutes ACN’s primary revenue source – well over 90% of revenues on a consolidated European basis. How are the company’s independent direct sellers remunerated? If the company’s independent direct sellers are remunerated for the mere fact of sponsoring new people to join the company as sales persons, this is a clear signal that the company is involved in a pyramid selling scheme. Such compensation may not always be obvious and may be described as training fees, etc. If, however, independent direct sellers are remunerated on the basis of the sales of products and/or services to an end consumer, this typically indicates a legitimate network marketing business. At ACN, compensation paid to its Independent Representatives is always based on the sale and usage of ACN’s services by customers. 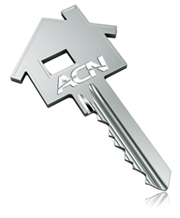 ACN offers a bonus when an Independent Representative sells ACN’s services to a minimum number of personal customers in the first 30 days of joining ACN and also when an Independent Representative assists a newly sponsored Independent Representative to “qualify”, meaning to sell ACN’s services to a minimum number of customers in the first 30 days. ACN Independent Representatives do not get paid simply for sponsorship of other Independent Representatives into the distributorship. If no customers are obtained as required by the ACN Compensation Plan, then no remuneration is paid. To find out more information in relation to the characteristics of a network marketing (or multi-level marketing) business and how it differs from a pyramid selling schemes, please visit the relevant part of the website of the Direct Selling Associations, such as the website located at http://www.dsa.org/selling/pyramid.htm or more generally at http://www.dsa.org. Please note that the legal tests for the prohibition on pyramid selling (or similarly described schemes) are not yet the same across all European countries and there are still differing specific legal tests in each country. It is hoped that the legal tests for such prohibition would be harmonised and made consistent across the European Union by the adoption of the Unfair Commercial Practices Directive which is currently being implemented in the local law and regulation of each EU Member State, but this remains to be seen. Until that time, the statements made above in relation to the description of pyramid selling schemes as against network marketing are generally stated principles, and there may be specific other factors at an individual country level that would need to be taken into account in looking at these issues in detail.